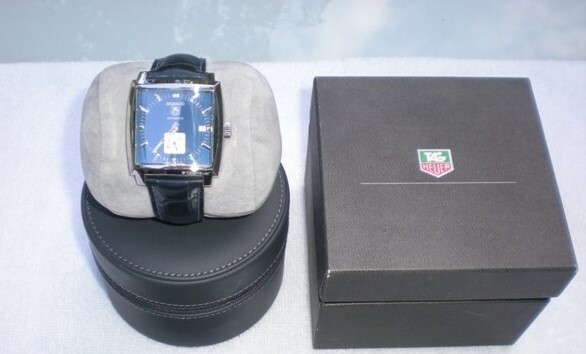 For sale is this Tag Heuer Monaco with dark blue dial and leather strap. It was acquired many years ago and worn perhaps few times since it was bought. comes with Box, papers and instructions all included. $1900 shipped via fed ex global priority at cost.